I have seafoam in my veins, for I understand the language of waves. The National Park of American Samoa is located on three islands: Ta‘ū, Ofu (both part of the Manu’a Islands chain); and Tutuila, location of the capital city of Pago Pago. When thinking of the U.S. national parks, you probably don’t think of an island group south of the equator. 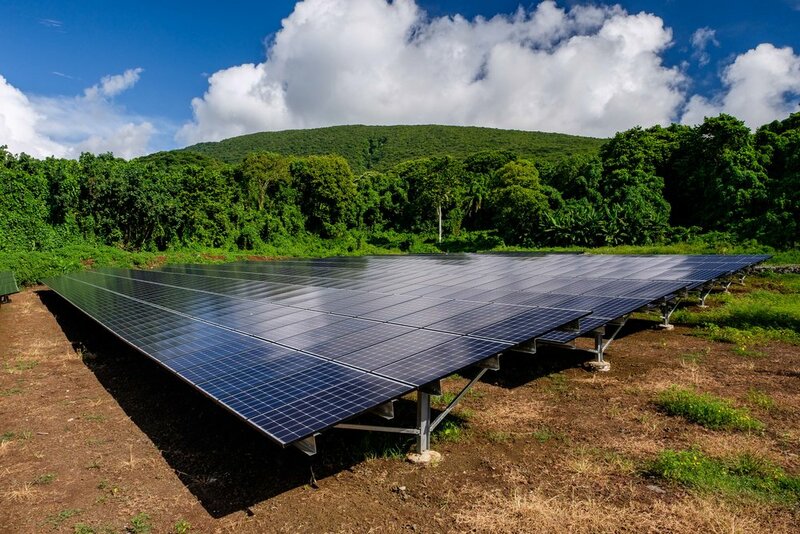 Yet, halfway between Hawaii and New Zealand there it sits – a protected parkland in the South Pacific that was established to preserve unbleached coral reefs, tropical rainforest, fruit bats (also known as “flying foxes”) and the Samoan culture. 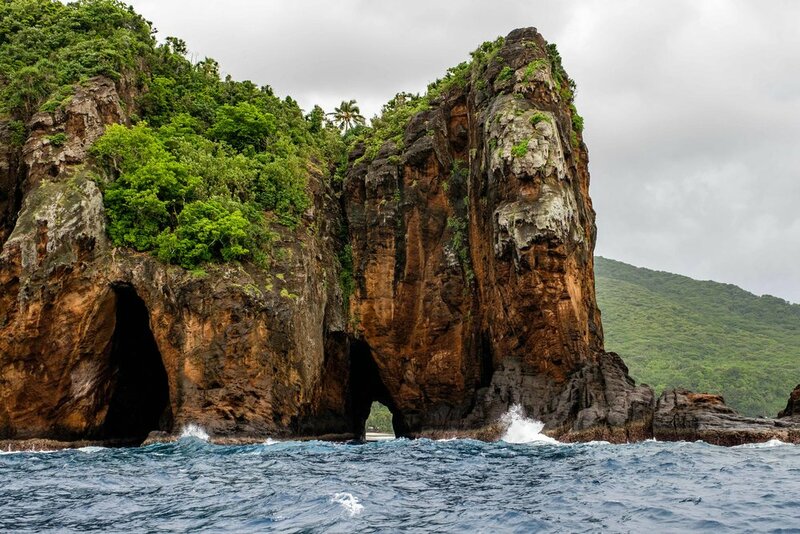 The National Park of American Samoa is another that is born of superlatives. It is one of the five least visited in the system. It is the farthest west and the farthest south. It was the first park to be established in the southern hemisphere. 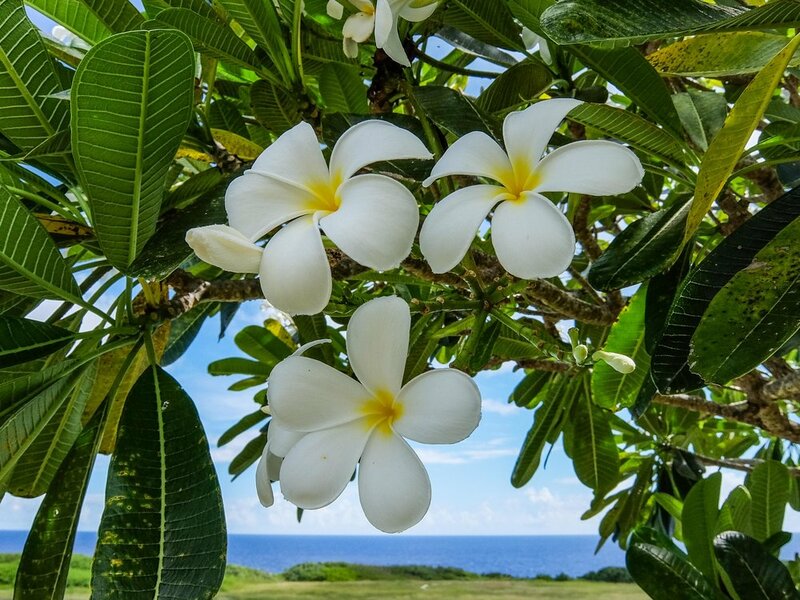 The way that we love our vast stretches of land in the contiguous 48, the Samoans think of the water in that same way – their land is the ocean. To be candid, this isn't a destination suited for everyone. 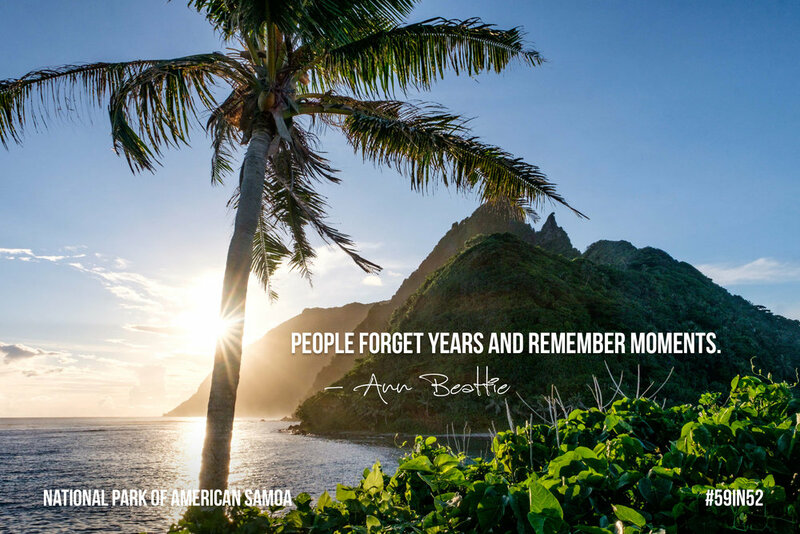 It is a long voyage to get to American Samoa, and even longer to get to the outer islands. It is incredibly hot and humid – you could cut the air with a knife. There are tons of mosquitos and other insects to keep you company. There are few restaurants to speak of off of the main island and it can be a challenge to find things you might need. This is not Hawaii. And it is not trying to be. 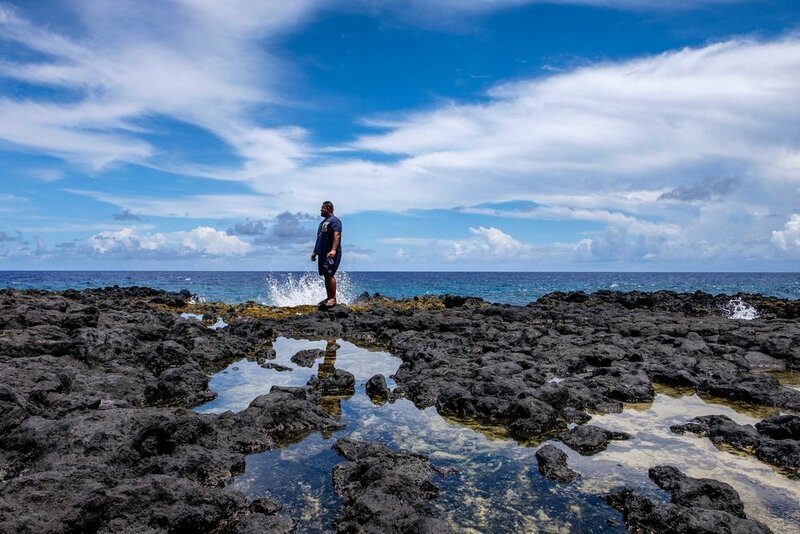 Samoans are committed to preserving their unique culture, their land and seas, and with that comes experiences that are completely authentic. 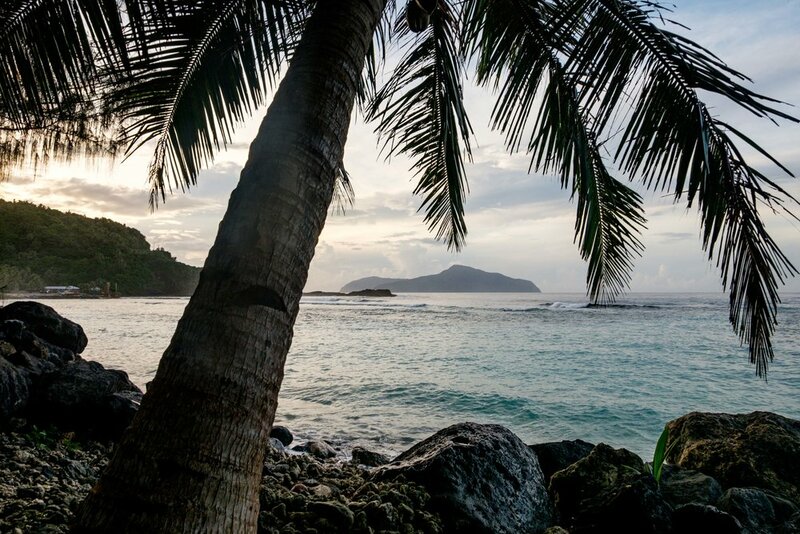 So, if you are down for an off-the-beaten-path island adventure that will give you a dose of culture shock with your perfect wilderness, put a visit to American Samoa on your short list. Ofu Beach has been called one of the top ten most beautiful in the world. Bridge jumping with the National Park Service Rangers between the islands of Ofu and Olesega in the Manu'a Islands chain. 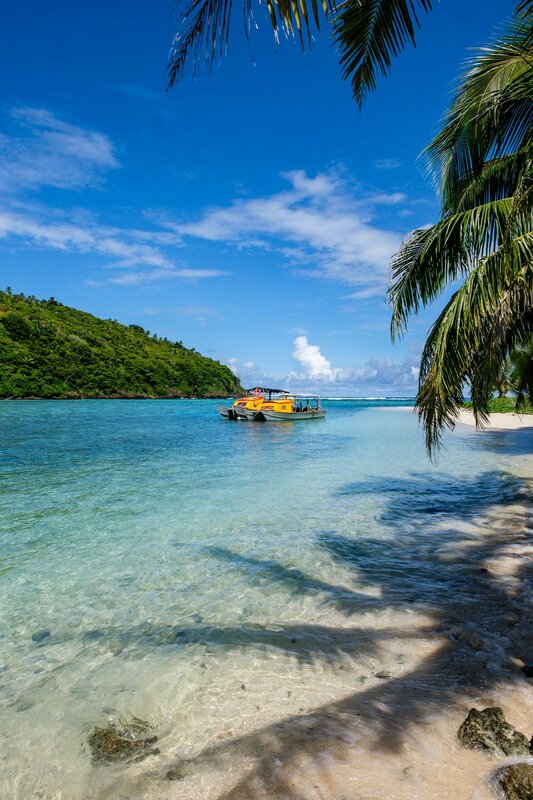 On the island of Ofu you will find a four-mile stretch of pristine paradise beach that is often ranked among the top ten most beautiful beaches in the world. Because of its remote location on an unpopulated island, coral ecosystems thrive inside of a glittering ocean. The coral reef at Ofu Beach is especially unique because it doesn’t suffer from coral bleaching the way, say, the Great Barrier Reef in Australia does, which makes it an important case study for climate scientists. It is also a magnificent place to snorkel! Aside the sea is a perfect beach. Noisy tourists? Nope! 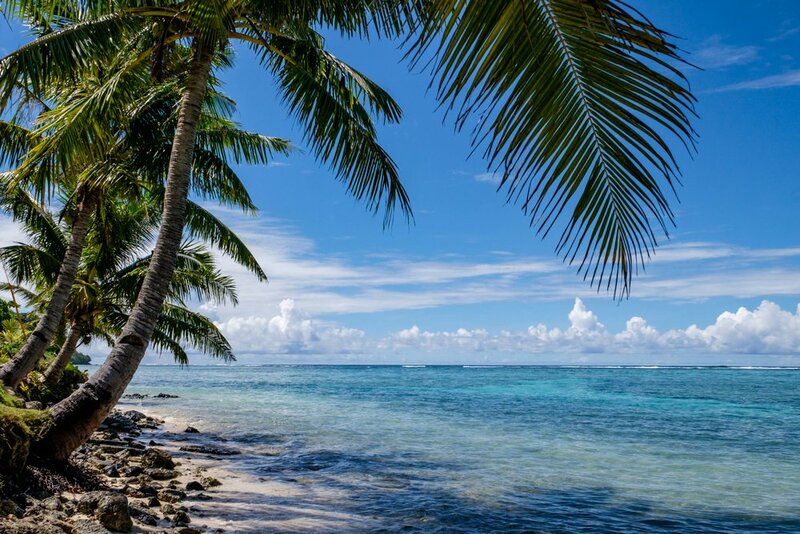 There on the powdery sand beneath tropical palm trees that reach out to the sea, you will feel as far away from where you came from as one possibly could. The island of Ofu is connected to its sister-island Olesega by the only bridge in Manu’a. The bridge is infamous in that locals and visitors love to jump from its rail into the crystal waters below. Have no fear, the water below is deep enough that it is not dangerous, but shallow enough that you don’t feel like a buoy bobbing in the middle of the sea, and the current running beneath it brings you straight to a white sandy beach where you can relax before its time to make the jump again. 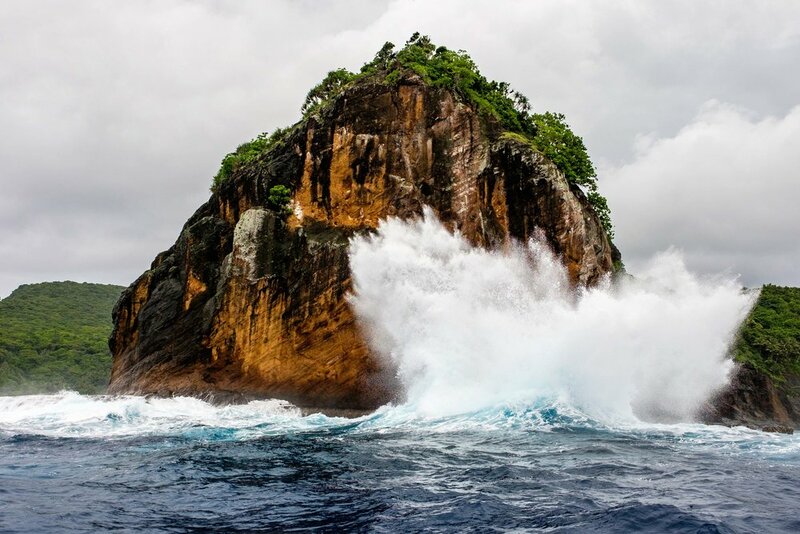 Waves pummel protected land on the island of Ofu. 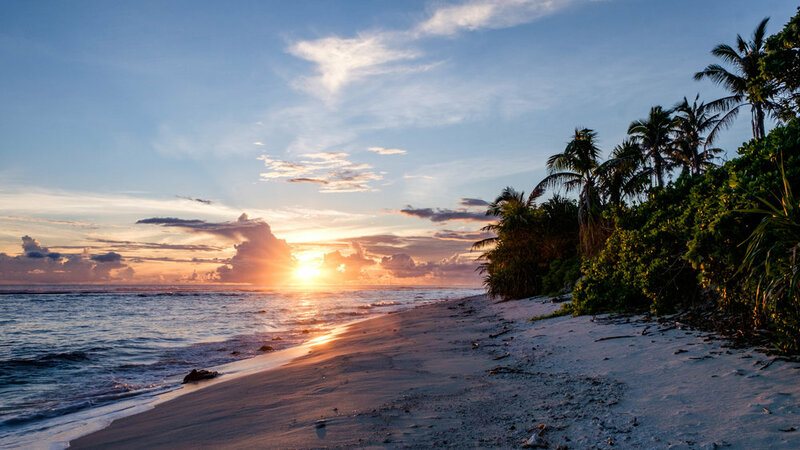 A warm South Pacific sunset on the island of Ofu. Ta'u in the Manu'a Islands chain is the least visited of the three park areas and look at how beautiful! T'au in the Manu’a Islands chain is considered the most traditionally Samoan of all of the islands. Bushwacking through the wilderness in the back of a pickup truck, you will explore a jungle landscape among ruins, incredible island wildlife, and the national park shore where you can peer off into the Pacific expanse. Atop the 3,000 foot Lata Mountain you can catch a glimpse of sea cliffs that are among the world's tallest. 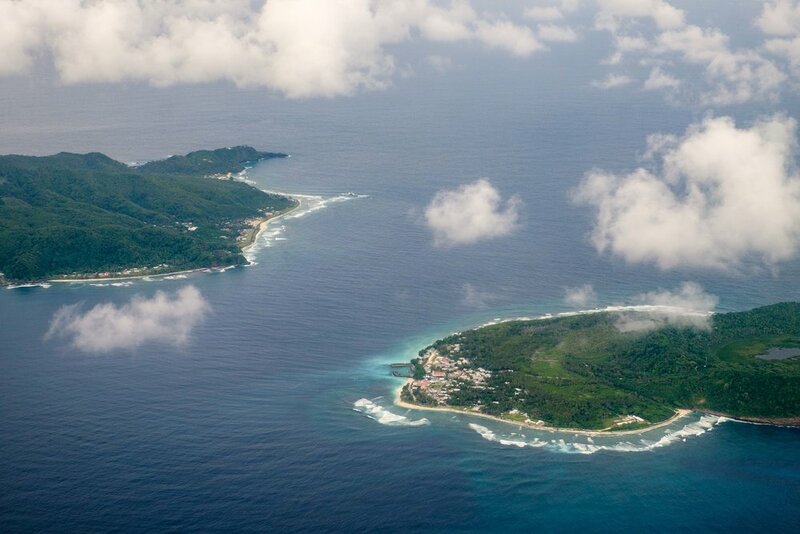 There are only three villages on Ta'u and tourism is virtually non-existent there. 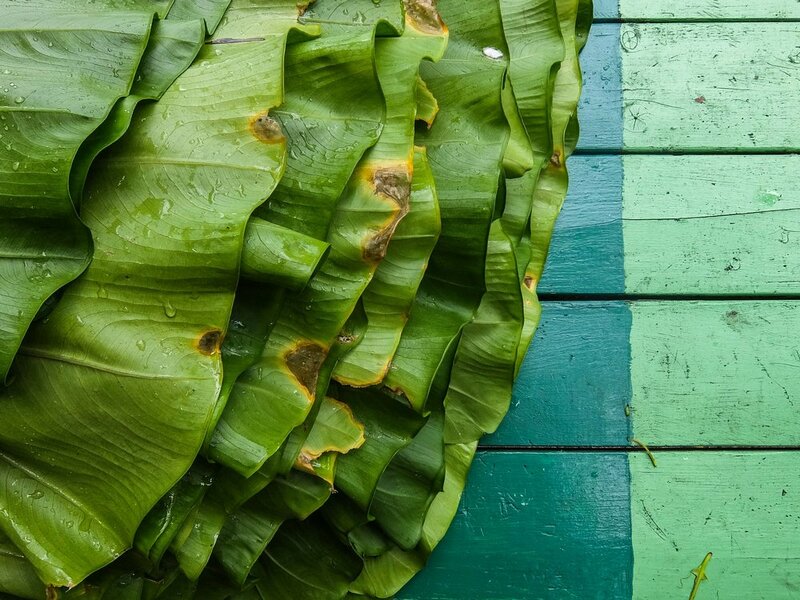 Though bereft of modern conveniences, wonderful people are everywhere – eager to show you the hidden heart of Samoa. Our guide was exceptional (thank you Keith! ), showing us the national park and introducing us to the people who call Ta'u home. If you want to explore rugged, wild, untamed wilderness while meeting local people, T’au is the place to go. And it's an easy boat ride to Ofu, just a couple of hours away. 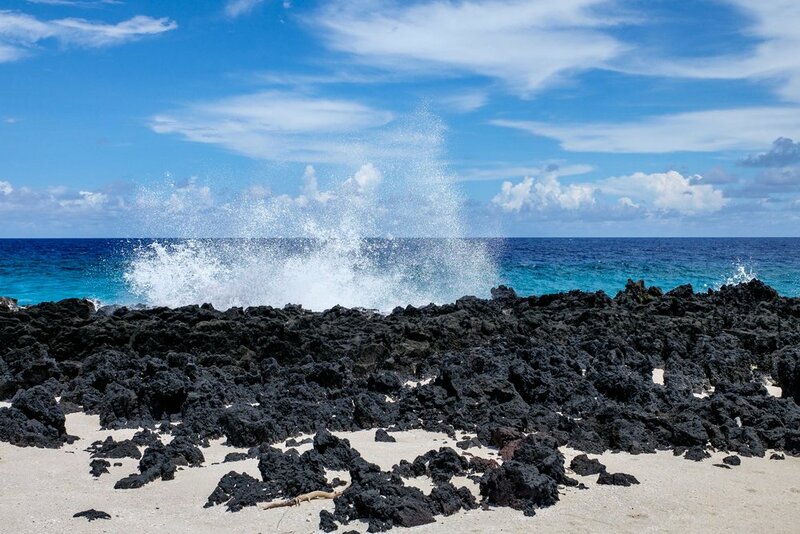 The sea crashes over volcanic shoreline in the national park in Ta'u. An open air "Fale" structure on the south side of the island outside of our good pal Menia's home on Ta'u. Stef descending the Mt. Alava Adventure Trail. 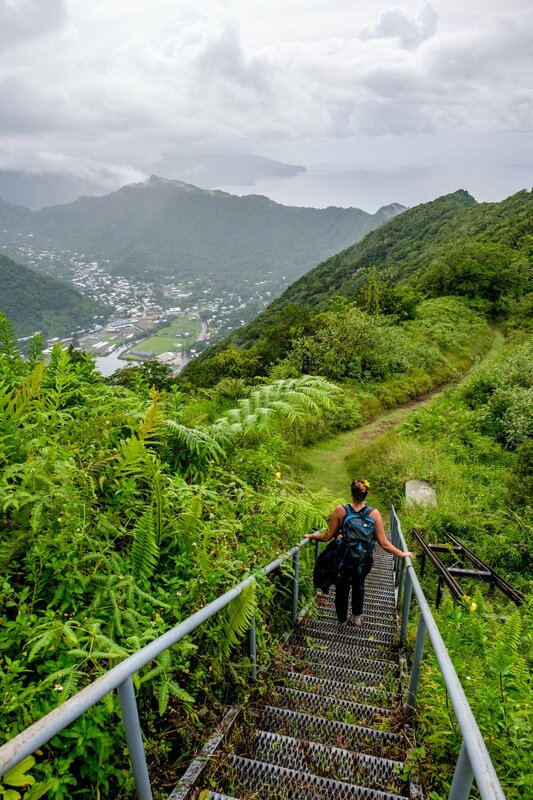 On the main island of Tutulia in Pago Pago (pronounced Pah-ngo, with a silent “n”) there is a nice network of trails leading you shoreside and to areas that rise above the bay. The most immersive and exciting (and also the most challenging) is the Mt. 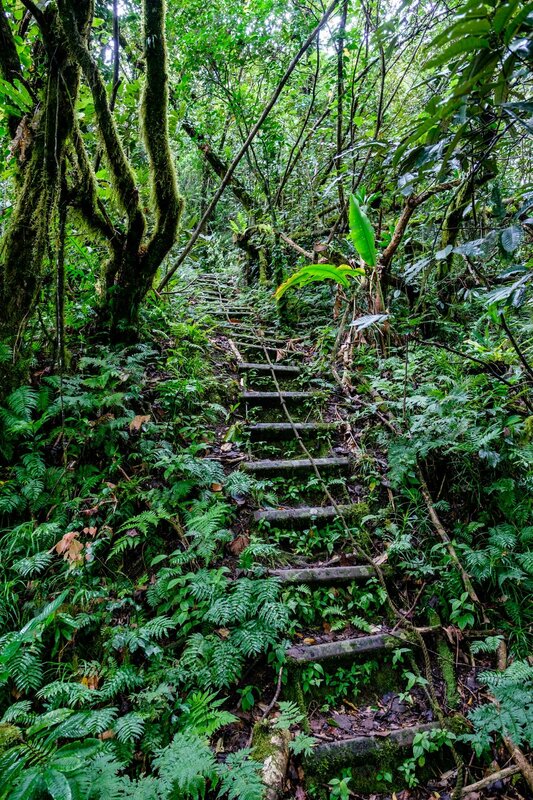 Alava Adventure Trail, where ladders fixed to the side of mountain ridges allow you to scale jungle walls while climbing a total of 1,600-feet. At the Mt. Alava overlook, gorgeous views of the island stretch out before you in all directions. For 2,000 years, Samoans have, out of necessity, used hiking routes through what is now the national park. Today, locals think that visitors looking to hike those same trails are a little bit mad... because of the intense heat and humidity, they climb those mountains only to hunt or when making land crossings to other villages. A stop at the Visitor Center is a must to get the most out of your time on Tutuila, as many of the sites are a bit scattered. It is located across from the Pago Way Service Station, where you can file in to the local scene while using public transportation to get to trails in the area. The Mt. Alava Adventure Trail will make you work for that view! Getting high into the mountains on Tutuila allows you to see Pago Pago in an enitrely new way. Clearly, each area of national parkland in American Samoa provides a completely unique experience. If you are going to fly all the way there, we recommend taking time to see all three of the islands. 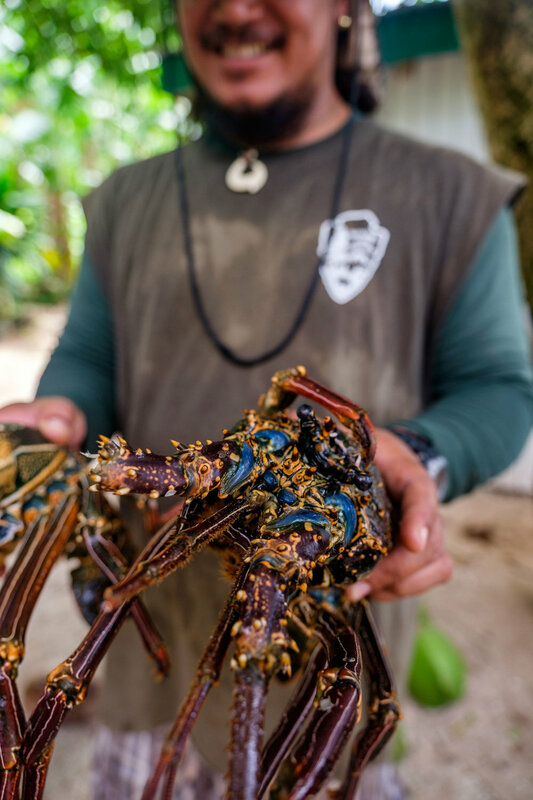 By the time you are done, you will not only have seen everything that the National Park Service aimed to protect there, but you will have also learned about the region from those best equipped to share it – the Samoan people. This park is really special… offering a fine mix of international travel and America's Best Idea. Before we made our way to American Samoa, we were researching the area and came upon this super video outlining the project, 100% worth a watch to get a sense of what they are trying to do (and what the island looks like.) We also stopped by the project and shared some of our own photos below. Enjoy! An "Umu" is an aboveground oven, or "Earth Oven," that is common across Polynesia. Everything is caught, cooked, and prepared by hand -- a process that is very labor intensive -- and generally reserved for special occasions. We were treated to a traditional Umu that was prepared by rangers of the National Park Service and missionaries from the LDS church (there are quite a few on the island.) It took all day to prepare. 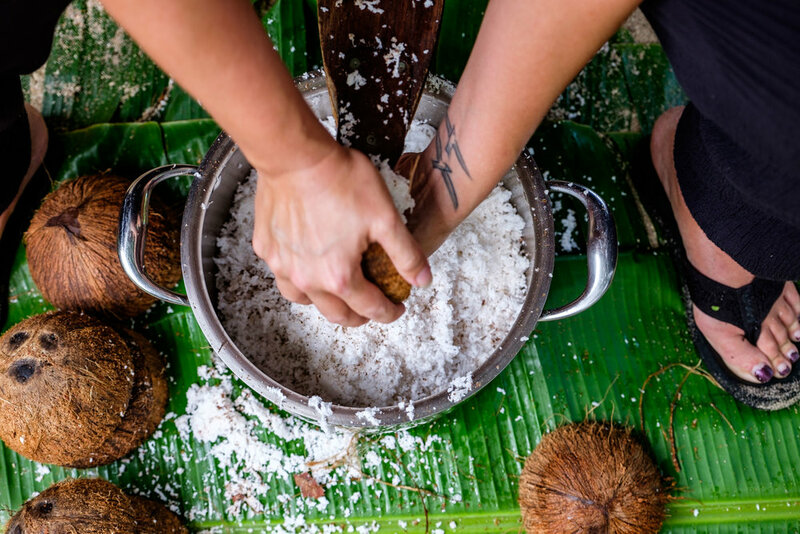 Enormous palm fronds were cut and dressed; baskets to hold the food were woven; coconuts were shredded and juiced... all by hand. 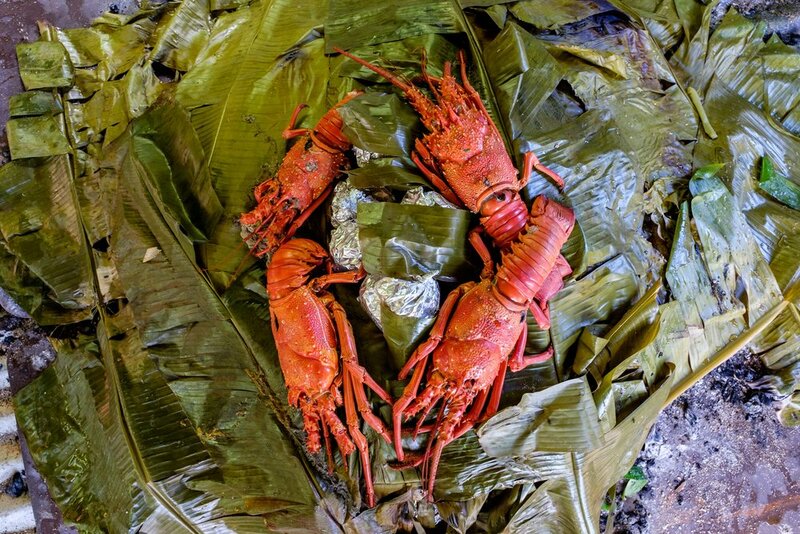 There was lobster, fish, creamy oiled mackerel baked in coconut shells, taro, breadfruit, warm banana, and other food harvested from the land. It was just food – no preservatives, no fancy marinades – actual food prepared in a most impressive way. 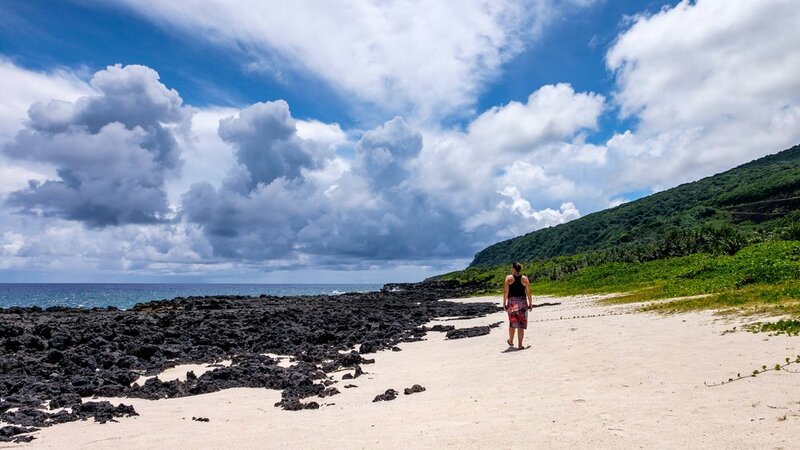 Protection by the National Park Service makes for unspoiled beaches in American Samoa. 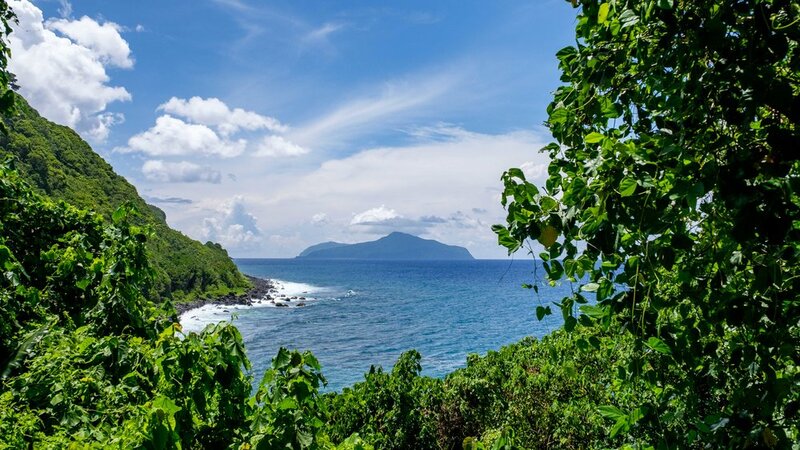 Iconic site in the Park: On the island of Ofu in the Manu’a Islands chain of American Samoa, you will find a four-mile stretch of pristine paradise beach that has been touted by many as one of the top ten most beautiful beaches in the world. Ofu Beach is the kind of place great postcards are made of. It treated us with great snorkeling in protected coral reefs, sightings of black-tipped sharks, plenty of sunshine, sideways palm trees, secluded wild nature, and complete solitude. To get there you will take a small plane from the capital city of Pago Pago, which touches down just a short walk from both the Ofu Visitor Center and Ofu Beach. Accessible adventure: The Mt. Alava Trail is a shorter version of the Mt. 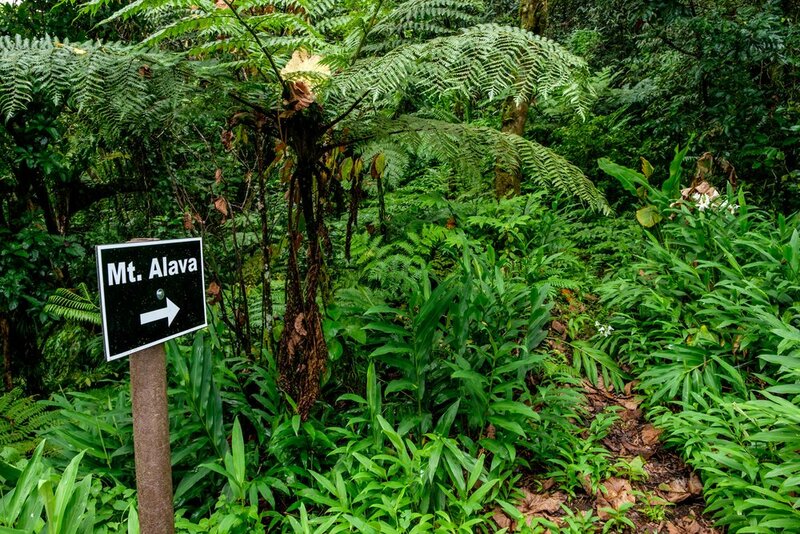 Alava Adventure Trail with a lesser elevation gain allowing exploration of the the jungle landscape without the treacherous output. The trailhead is located at Fagasa Pass, 1.2 miles up from Route 001 in Pago Pago where there is a small parking flat. From there, you can set out on foot and design a day hiking adventure that suits your own ability level. 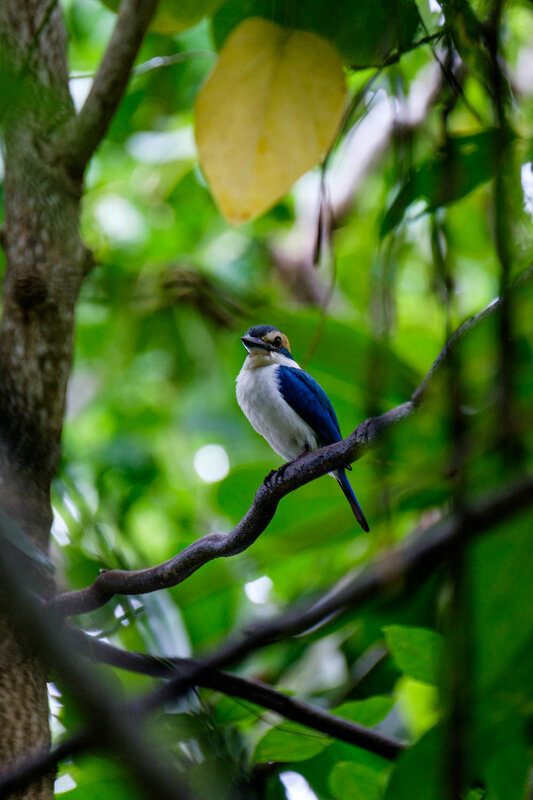 Along the way you will see fruit bats, a variety of bird and plant species, and coastal views peeking through the trees as you climb the semi-paved ridge line. Big adventure: The 5.6-mile Mount Alava Adventure Trail on the island of Tutulia feels a bit like a crazy obstacle course on some reality TV show – just a few miles into it you will be a sweaty mess as you scale rope ladders draped upon the terraced mountain walls... 56 ladders and 783 steps to be exact. At the top you will be rewarded with sprawling views onto the bay of Pago Pago. It’s a most immersive and impressive way to see this island territory from a birds-eye vantage point. Along the Mt. 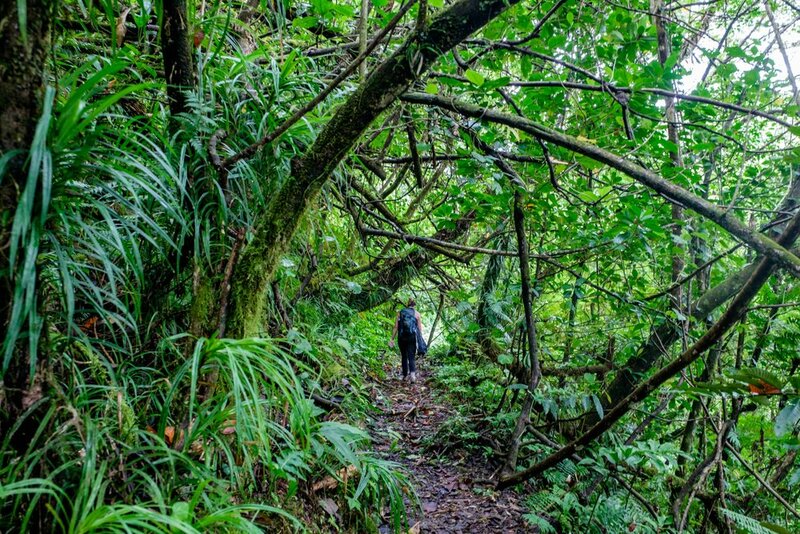 Alava trail network on Pago Pago. At the top of the ridge line on the Mt. Alava Adventure Trail. 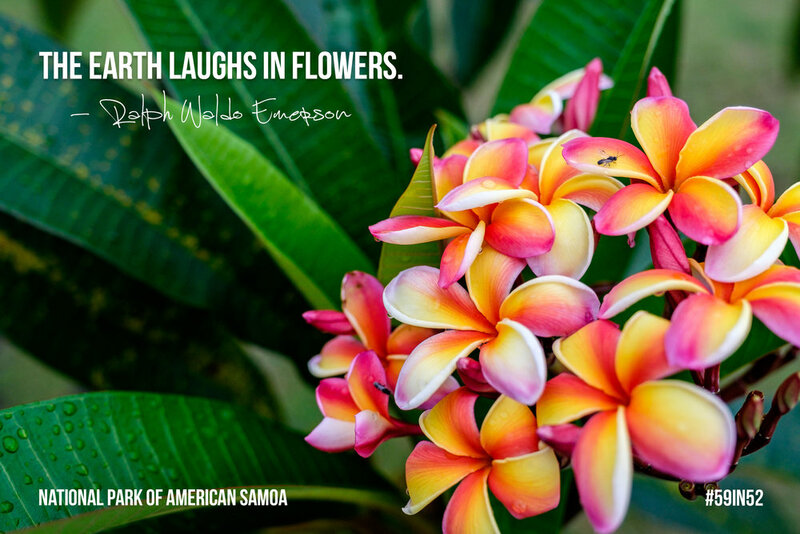 On the island, American Samoa is pronounced with a dramatically elongated "a" – American Sahw-mo-waah. The island of Olesega which connects to Ofu as seen from the air. Not part of the national park but look at that jungle wilderness! The Samoan culture dates back 3,000 years. Ofu Beach is considered to be one of the top 10 most beautiful beaches in the world. 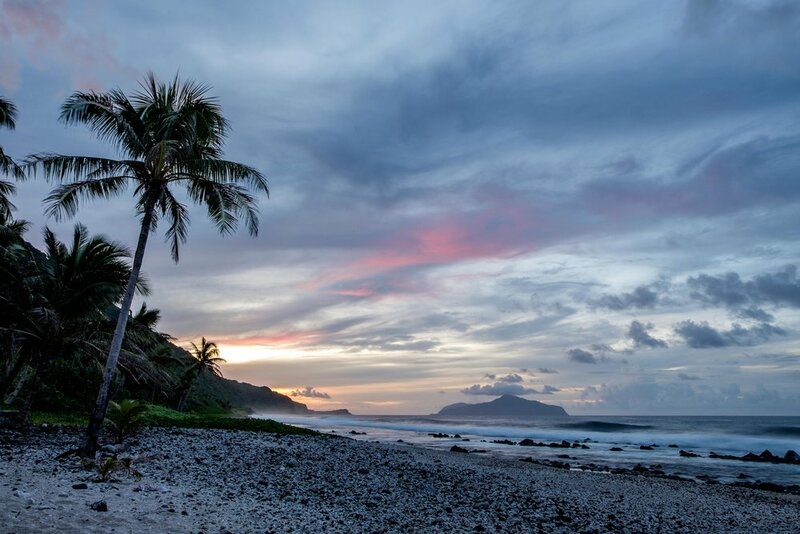 The last sunset of the day in the west hemisphere happens in American Samoa. For locals, it is a TSA policy that if your flight is delayed more than an hour, they have to feed you. 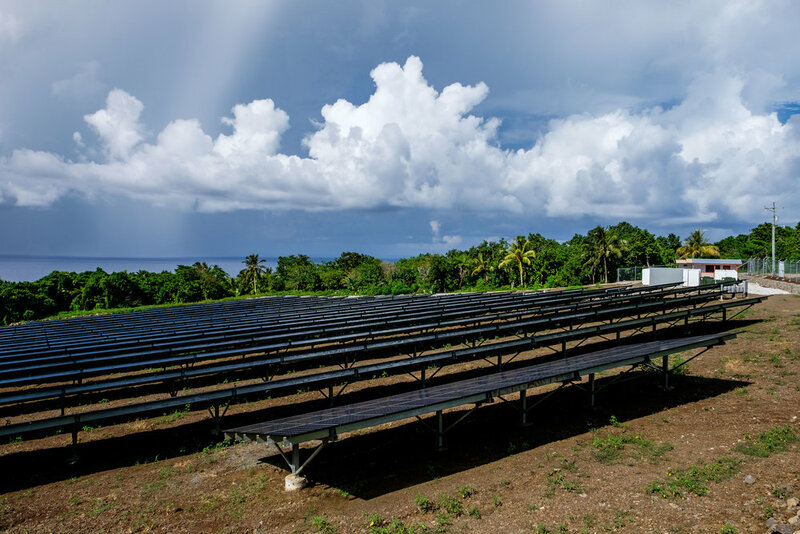 Although American Samoa is located in the southern hemisphere, electrical converters are not needed. Bring your own bug spray! Most places outside of Pago Pago don’t stock it and even there it is hard to find. Tourist infrastructure is lacking on the islands outside of Pago… don’t expect beach-side hotels and a wild nightlife. 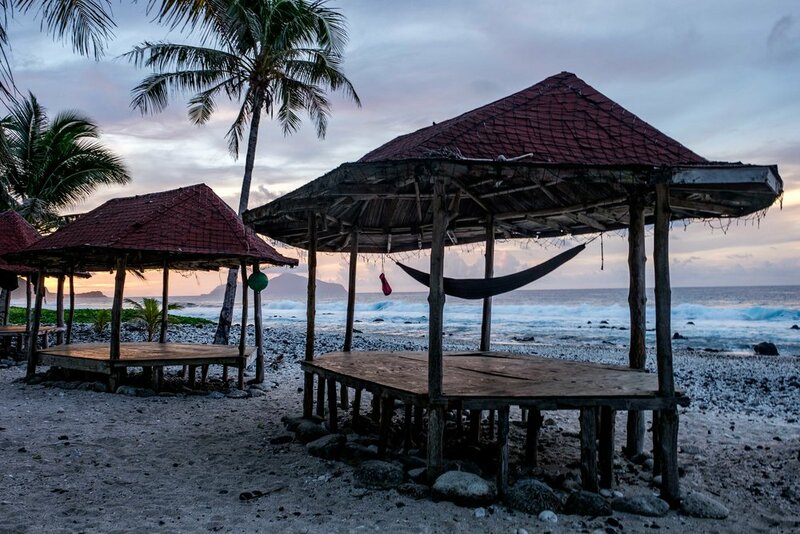 Even in Pago, there are relatively few hotels and restaurants geared for tourism. The way to stay is in one of the local homestays, a program agreement between the National Park Service and local families. 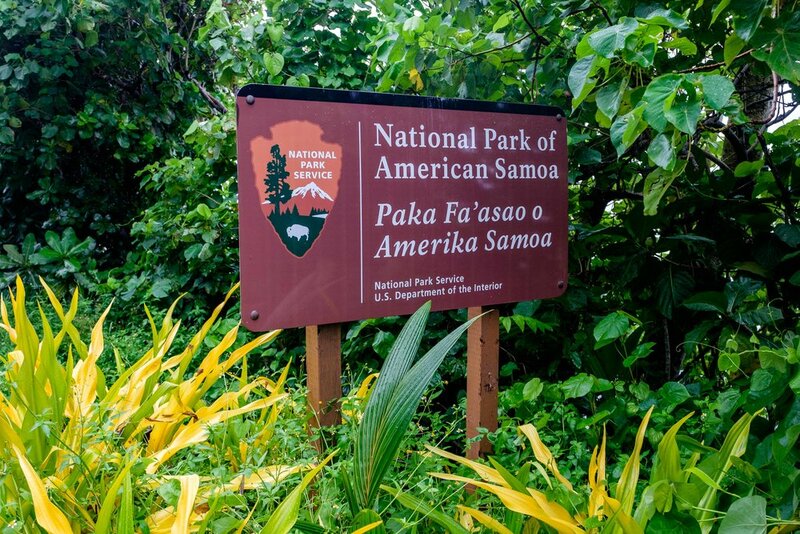 Because of its far-flung location, the National Park of American Samoa is usually the final park to hit for those on a quest to see all 59 parks in the system (it was 56/59 for us.) For those making it their final park to visit, the rangers there offer a special certificate commemorating the achievement. 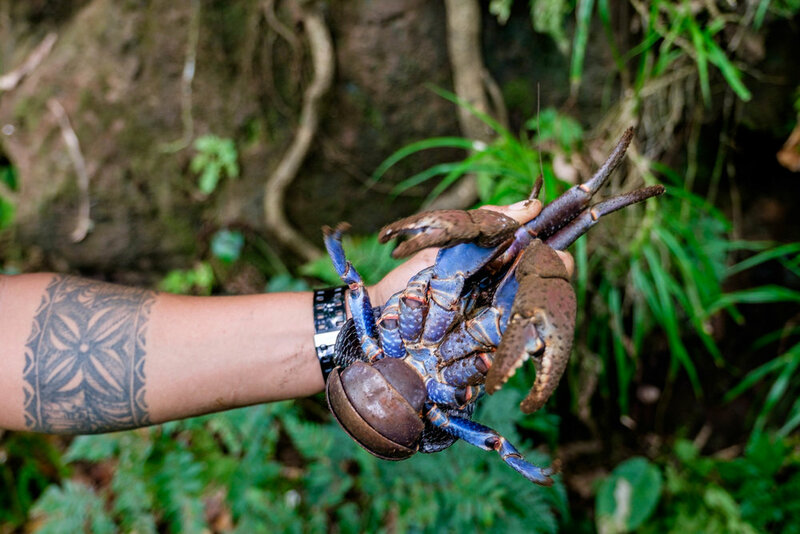 Coconut Crab hunting with a Ta'u local. American Samoa holds conservative values. Covering shoulders and legs is expected. 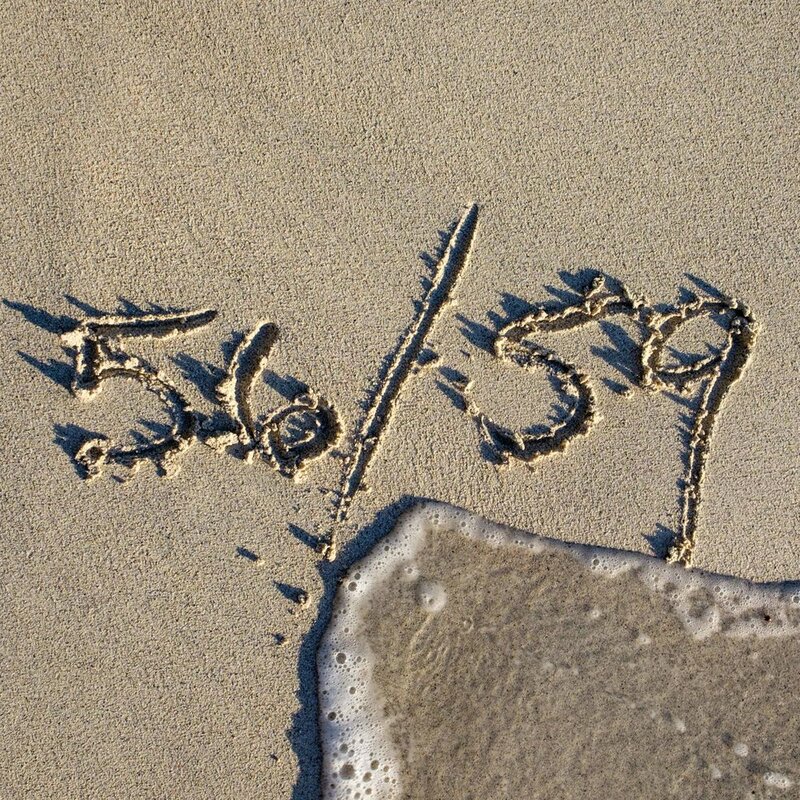 "Curfew" occurs at 6:30pm every day for 15 min when all on the island(s) pray. Unsurprisingly, fishing is a very popular pastime in American Samoa (and for Samoans it is a way of life.) Some common species include grouper, blue finned travelli, tuna, mahi mahi. Cast fishing and spear fishing are both popular methods, the former used when the seas are rough and visibility is clouded. Samoans raise eyebrows to say yes. It's like nodding. In American Samoa it is considered rude to stand and eat. 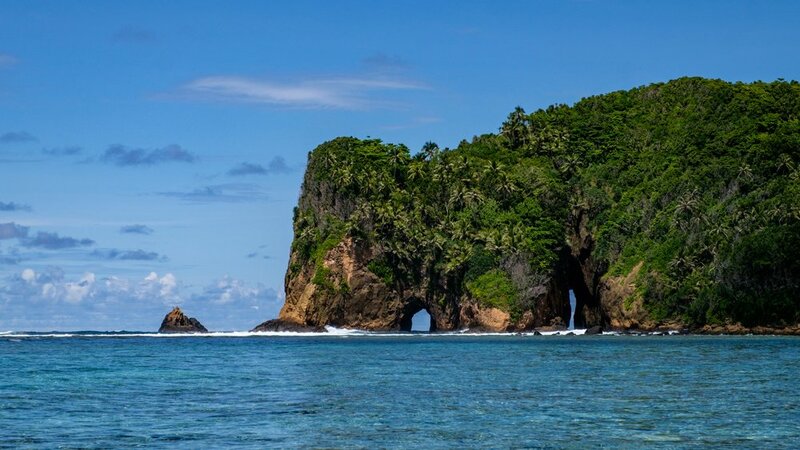 American Samoa National Park is the only park not owned by the National Park Service. A 50 year contract is in place, it was signed in 1993. Fruit bats are common in all areas of the National Park of American Samoa, and they are one of top priorities of protection in the park. This one hangs from a banana tree in the mid-afternoon—a common sighting. 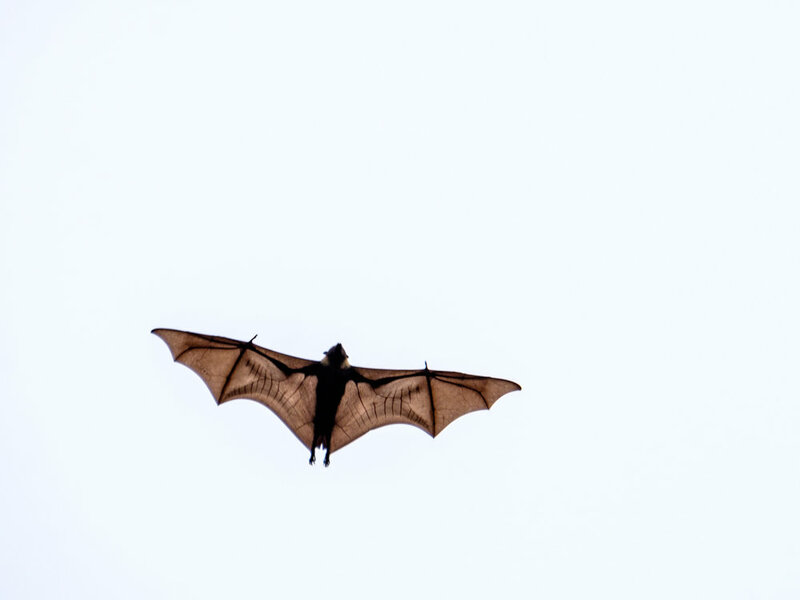 Fruit bats, also called "flying foxes," are endangered and are one of the reasons the area was protected as a national park. 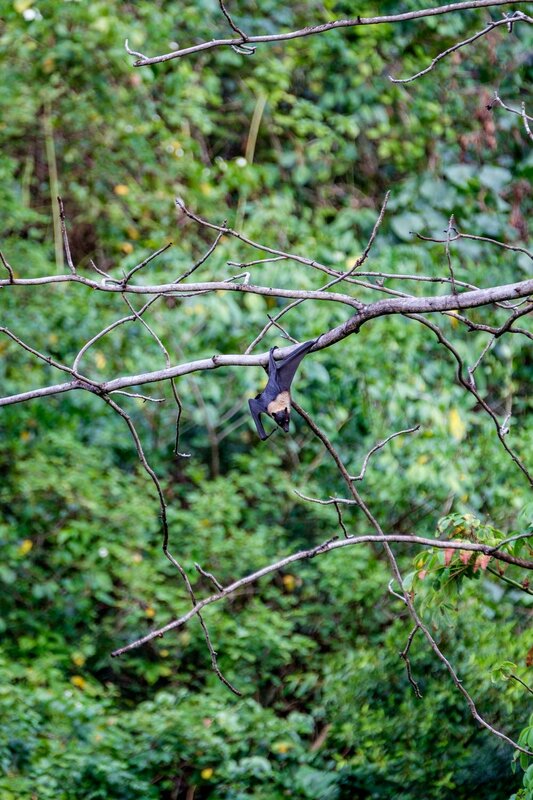 Locals hunt and eat fruit bats! They love the intestines because they always taste different – sometimes like mango, sometimes like avocado – every time a surprise. Some of the purest drinking water in the world can be found in the Manu'a Islands chain. Fales are open air structures that are common on the islands. They are traditionally used as community meetings spaces and for social interaction. Disney's newest animated film is called Moana and is about a princess from the Pacific Islands. Moana means "deep blue/blue ocean" in Samoan. Dwayne "the Rock" Johnson sang the part of the demigod Maui in the film Moana. He is half Samoan. His mother was from Western Samoa, his father is African American. 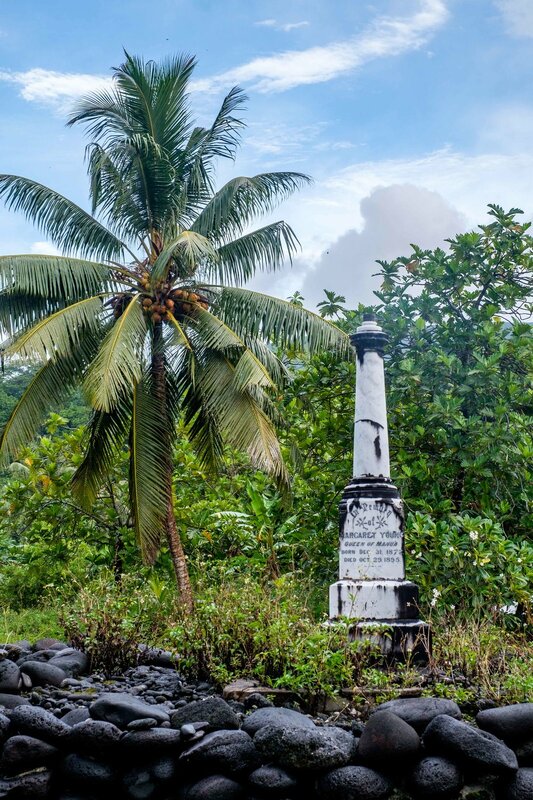 The Rock is a High Chief in Western Samoa, just like his ancestors 5 generations back. 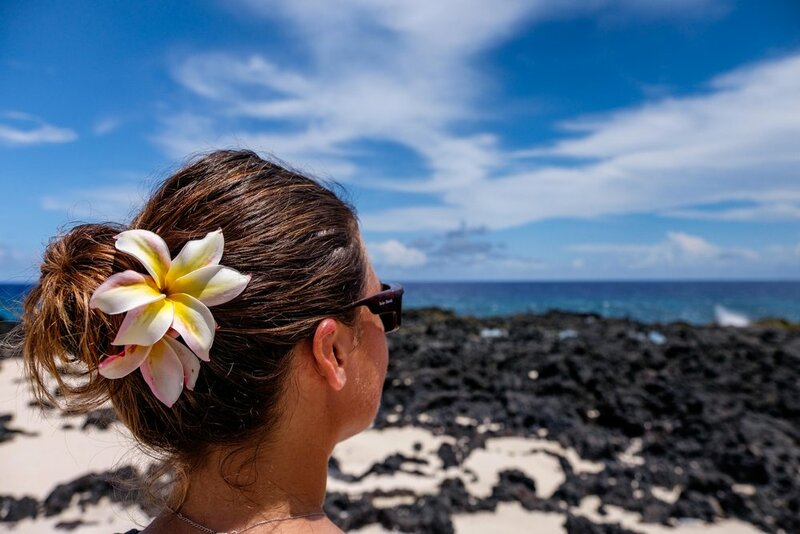 If you are a female, placing a red hibiscus in you hair means you are trying to compete with the goddess, which is frowned upon. 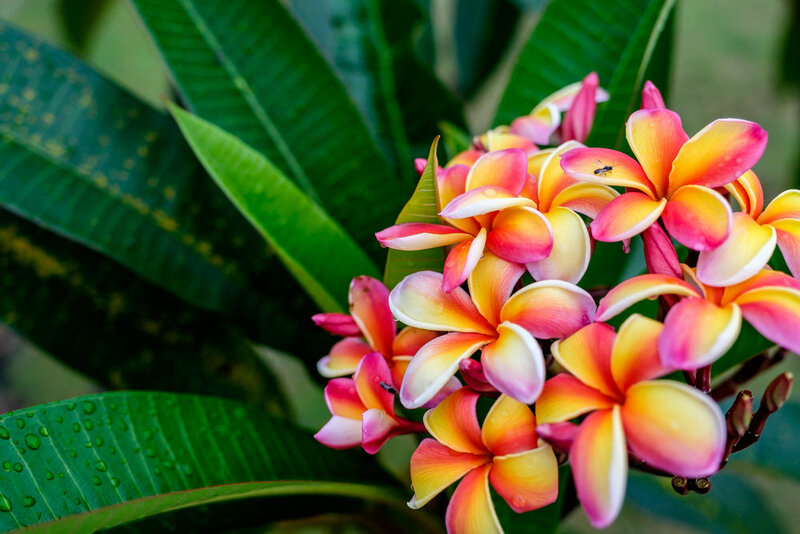 A plumeria is appropriate. 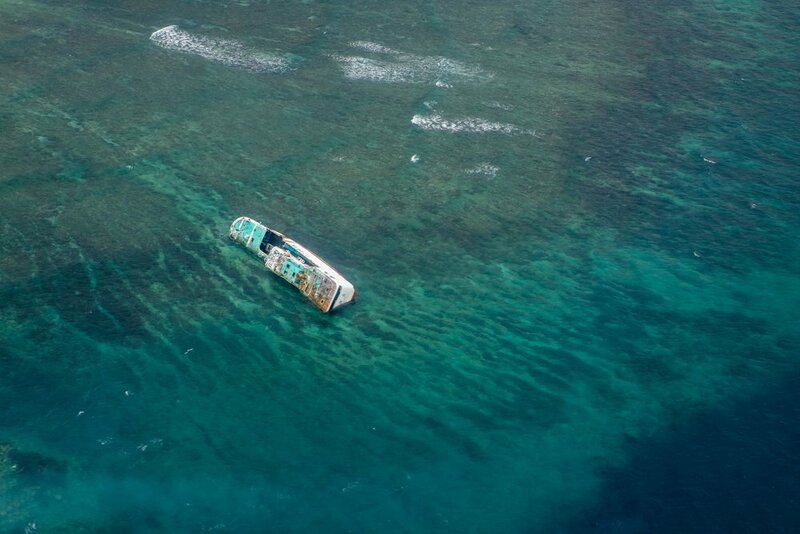 A grounded ship has become part of the landscape near Pago Pago. There are 47 WW2 plane wrecks around the islands of American Samoa. They are all inaccessible because they live under 500 feet of water. American Samoans LOVE American football! They all have a team to root for. Many American Samoans and their families play and are often drafted by the NFL. NASA’s Apollo 13 spacecraft splashed down off the coast of American Samoa in 1970 in the most active area of the ring of fire and the deepest place in the Pacific – the Tongan Trench. Star Kist Tuna is the main export of the islands. You can visit the cannery in Pago Pago. The National Park Service sign on the island of Ta'u. The beer of choice in American Samoa is Vailima. "Maniua!" means cheers. "Talofa" means hello. 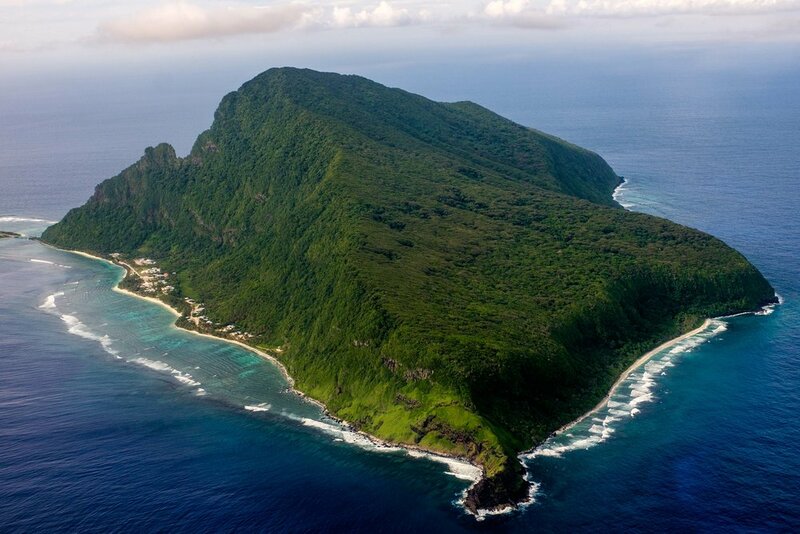 There are two National Park Visitor Centers, located in Pago Pago and on the island of Ofu. Park rangers from the National Park of American Samoa assisted the U.S. Forest Service on the mainland during 2015 to help fight rampant wildfires. Thank you park service rangers! 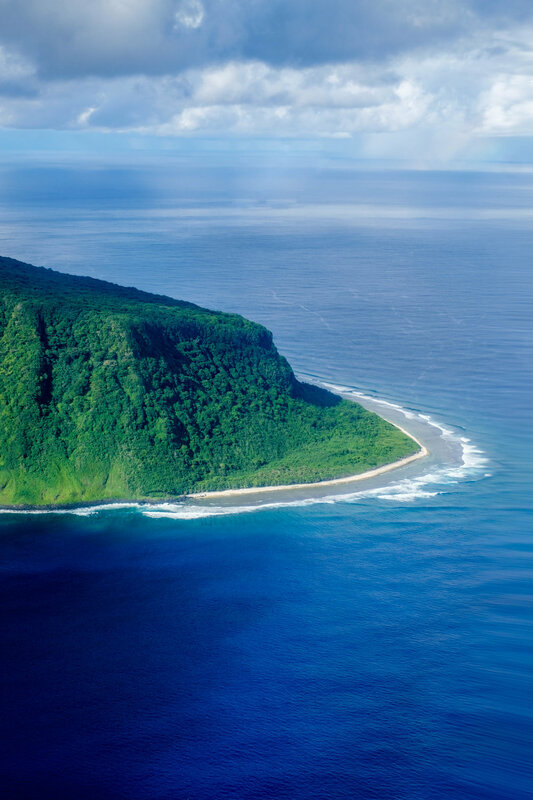 The National Park of American Samoa is one of the least visited in the system. In 2016 during the centennial anniversary, there were 28,892 visitors. On the road in the island of Ofu. Wally the Airstream was with us all the way!! Want to give a special shout out the Keith, Menia, Ranger Caiti, Ranger Ricky, and Ranger Mua for the excellent care and great times during our visit to the National Park of American Samoa. THANK YOU! A special thanks to National Geographic, Fujifilm, Airstream, and American Samoa Visitors Bureau for making this project possible.